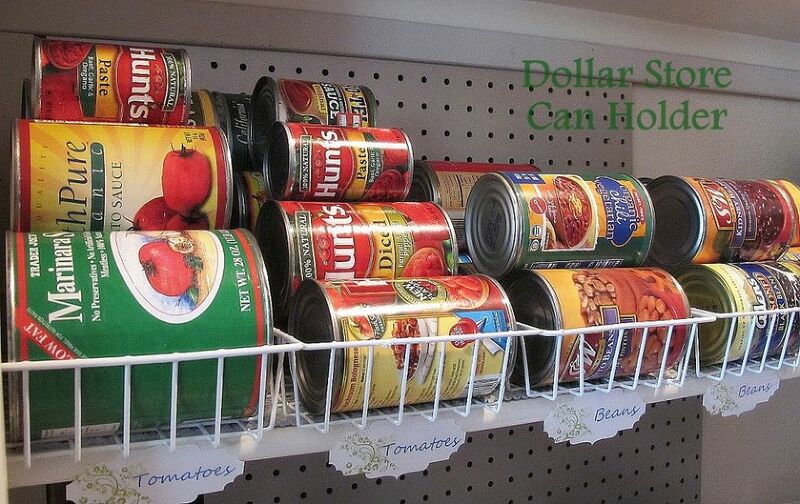 Turns out, with a little DIY, you can cover almost all of your home and garden needs using just the dollar store! Have you ever spent an hour winding through the magical aisles of the dollar store? If so, the thought has definitely crossed your mind, somewhere between the $1 toy aisle and the $1 cookware aisle, that they've got literally everything. 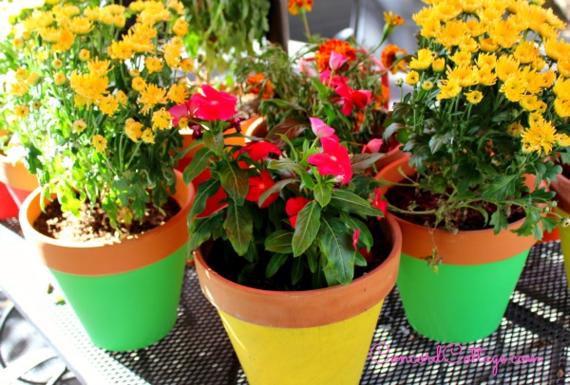 Turns out, with a little DIY, you can cover almost all of your home and garden needs using just the dollar store! 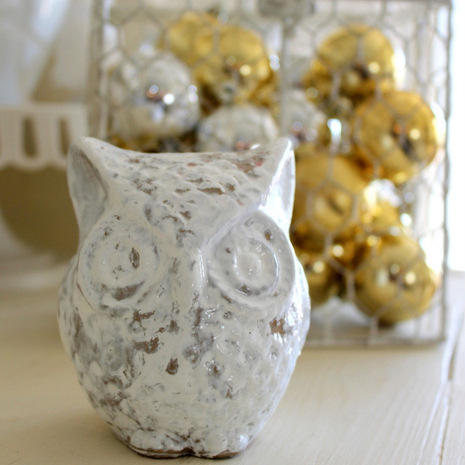 Looking for Some Budget Home Decor? 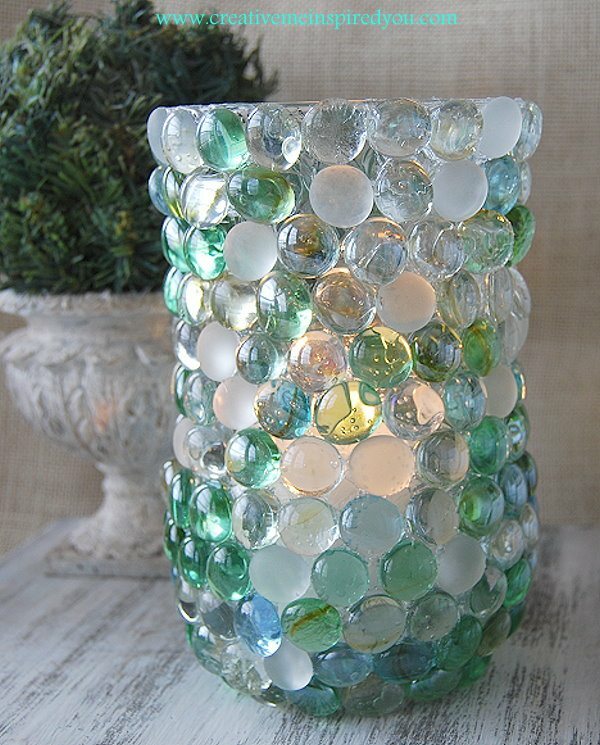 With a pack of glass beads, you can turn a regular glass vase into an interesting designer piece -- flowers or not! 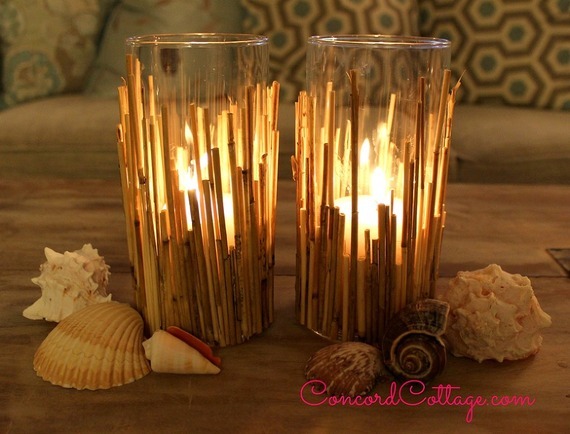 Grab some glasses at the dollar store, and line them with slivers of bamboo (or even sticks from your backyard) to add a touch of woodsy ambiance to your home. 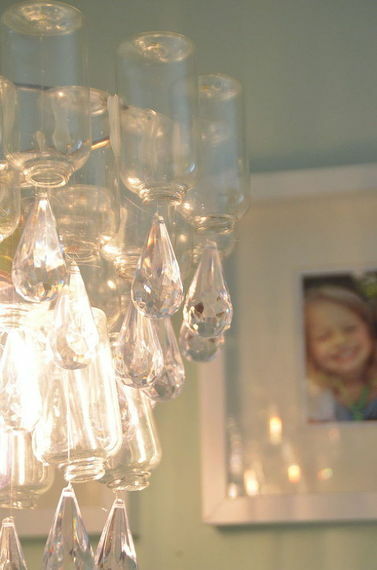 Your guests will never believe that your elegant dangling chandelier is actually a collection of low-cost dollar store goodies! You know it's designer when its only purpose is to look beautiful, and this little chippy owl is certainly beautiful, despite the shiny red ornament it once was. 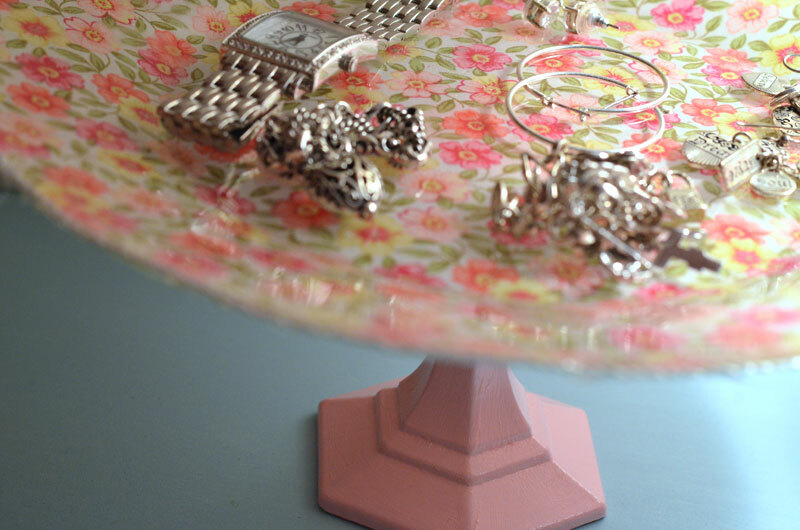 Perfect for your dresser or side table, this little low-cost platter is just the right piece to display your jewelry or accessories, with high-end appeal! 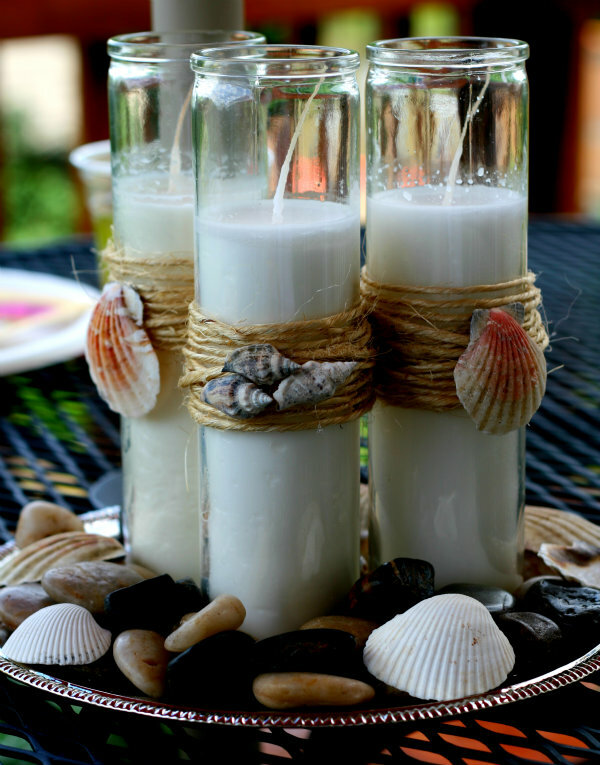 Gather these cheap glasses and your prettiest shell collection and get to work on a fun decor embellishment to remind you of hot summer days! 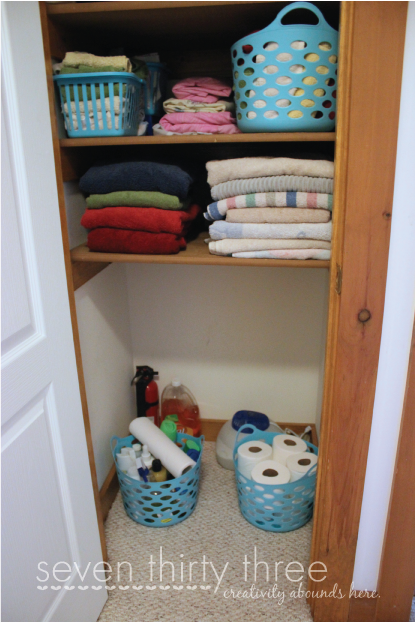 How Bout Some Easy Storage? 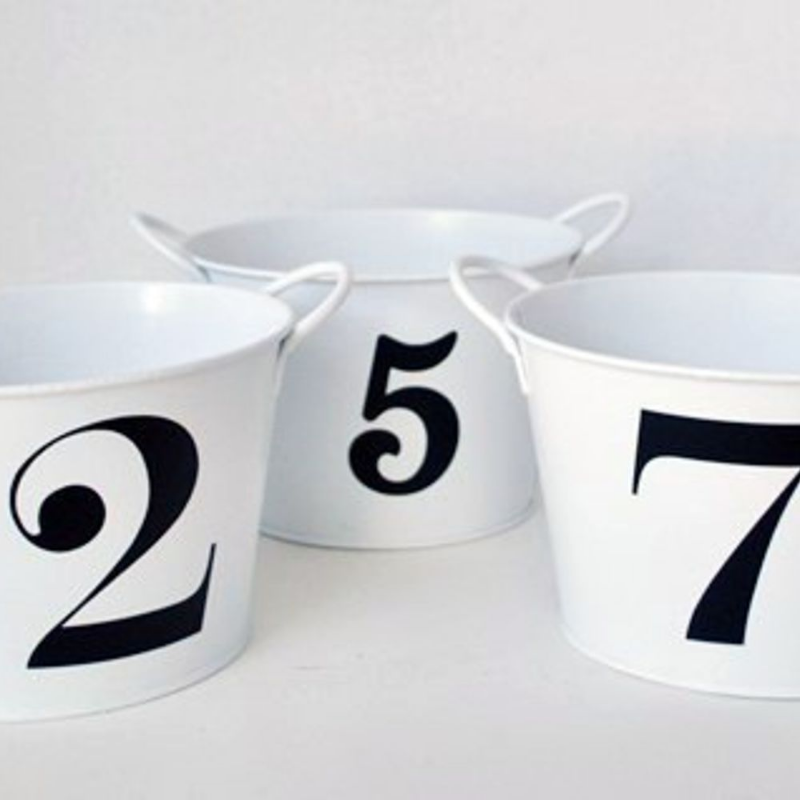 You know those cheapo colorful metal buckets you always see piled up in dollar stores? Ignore them no longer, because here's how to turn them into chic storage! 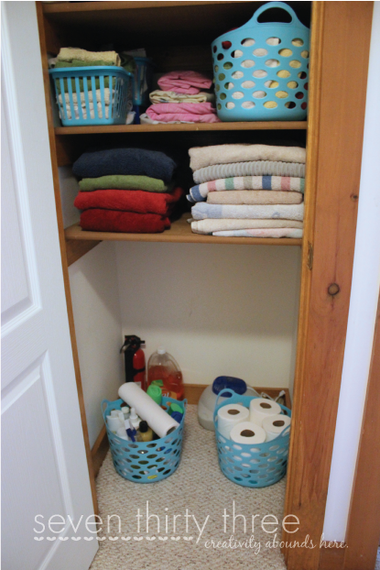 Stock up on budget-friendly plastic baskets in your favorite color, to give your linen closet a full-body makeover! 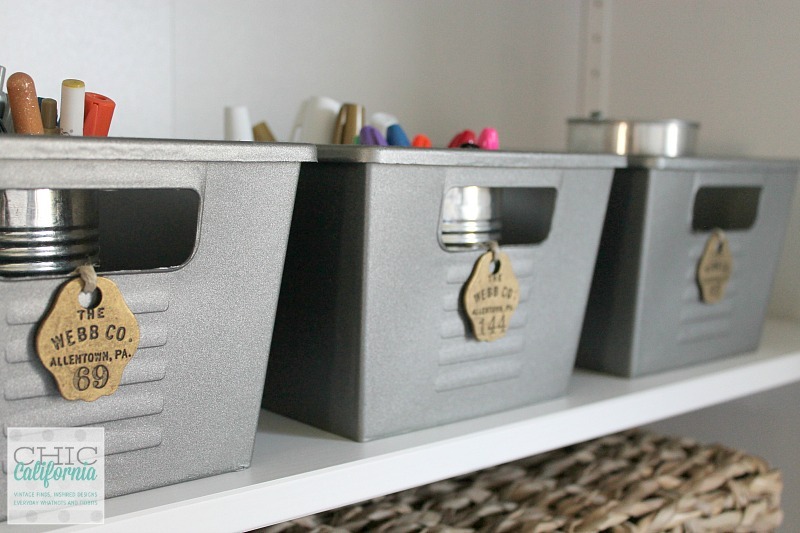 Don't fret the ugly but sensible finds -- You can upgrade any unattractive storage so that it suites the rest of your beautiful home, like this DIYer did with her vintage-style makeover! 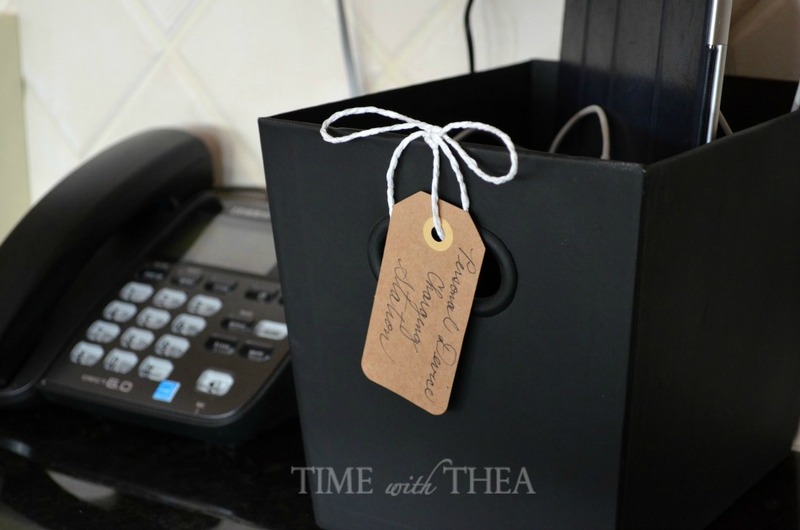 Instead of trying to locate electronics all over your home, create a storage box for all your electronic devices to share at once -- on the cheap! 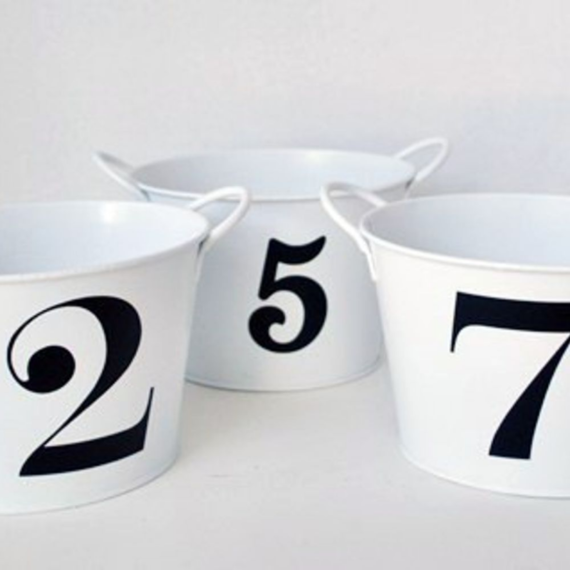 Want to Spruce Up Your Bathroom on the Cheap? 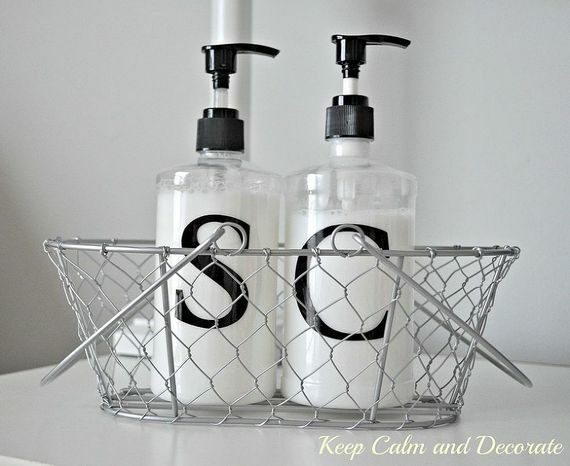 It doesn't need to cost extra to give your bathroom that spa appeal, if you know how to dress up your standard shampoo, conditioner, and soap containers! 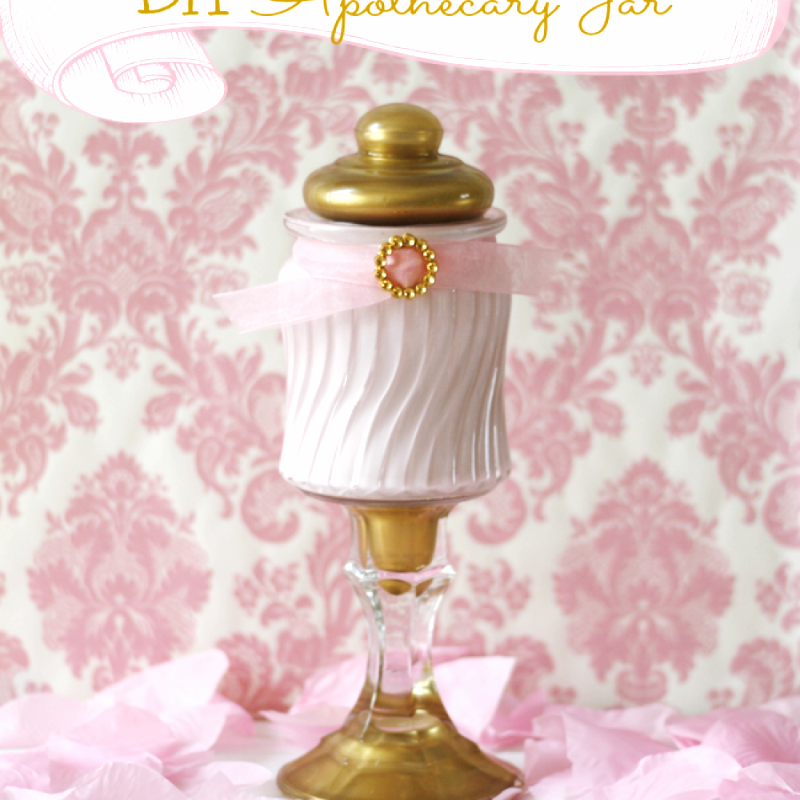 Try this quick trick tutorial for that pampered look! 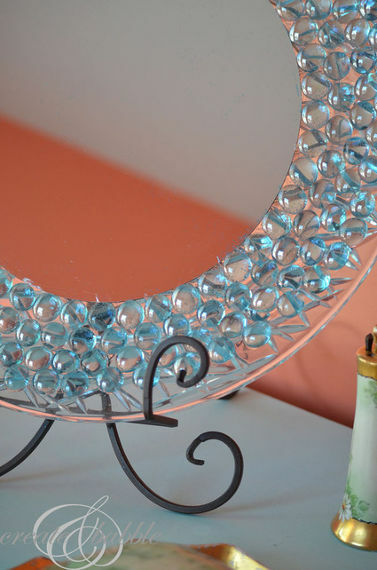 Dress up a standard mirror, with some supplies from a quick trip to your local dollar store! 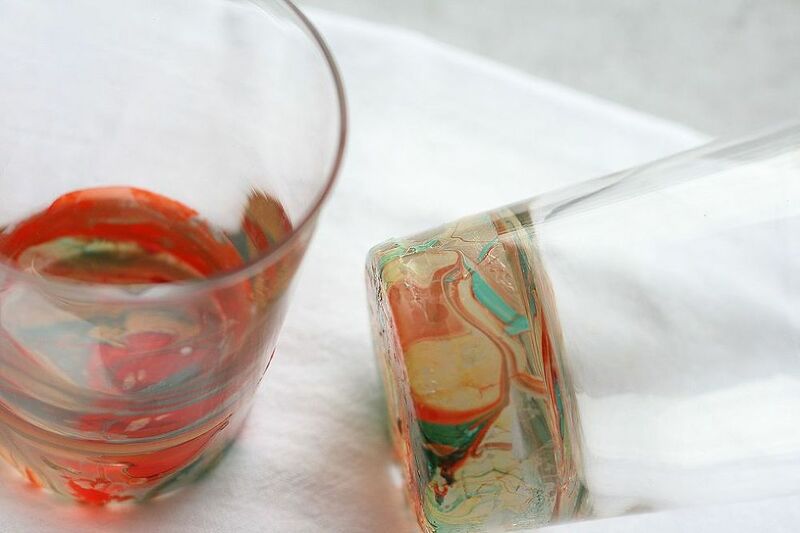 Find the right glass pebbles to fit your color scheme, or paint yours to match! 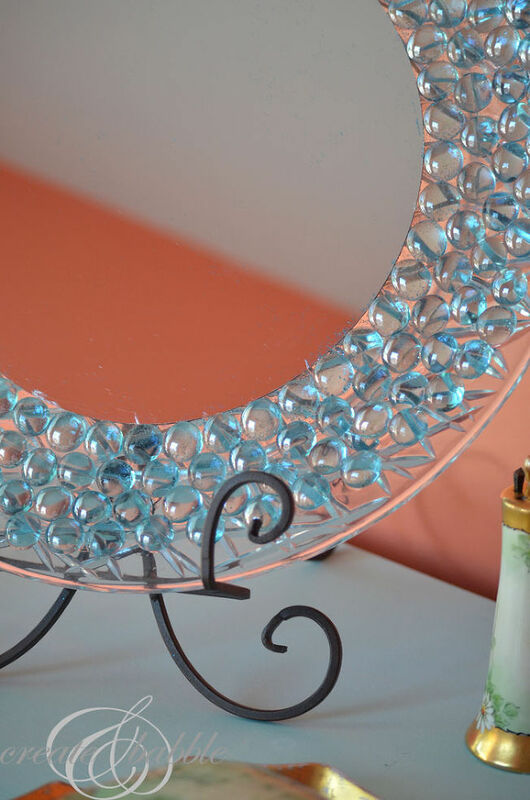 You'll love this budget mirror makeover! 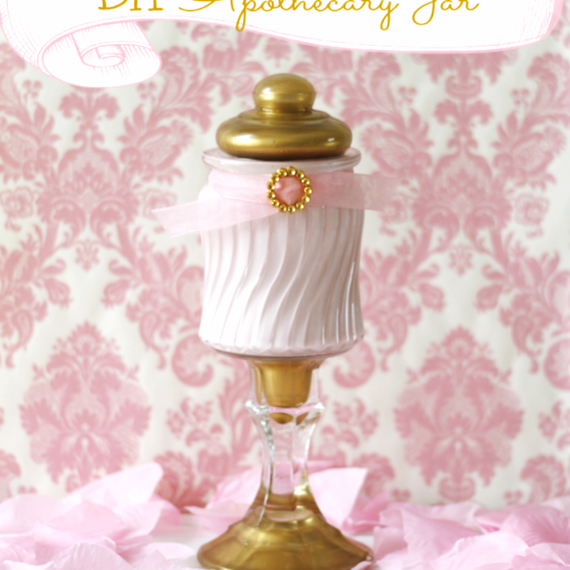 Create your own stylish apothecary jars using dollar store items, perfect for bathroom supplies storage! 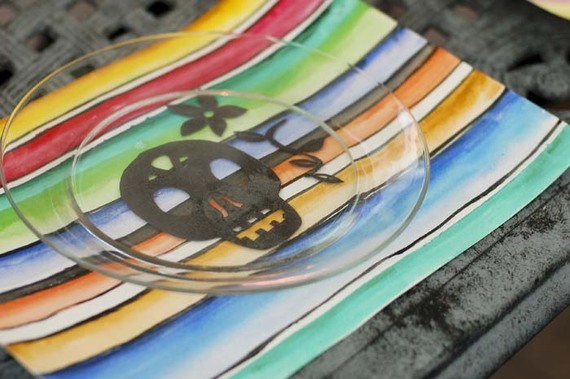 Save money on decorated party plates by making your own, with a design you can do yourself on a budget that you'll love! Project via Hometalker Laurie @Vin'yet Etc. 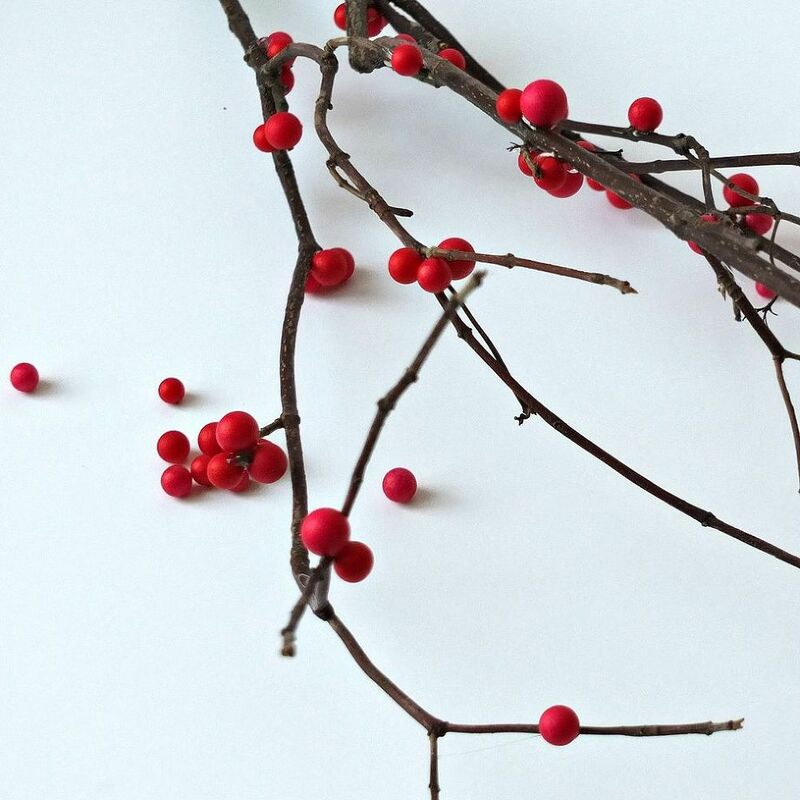 These realistic winterberry branches are a super easy, super low-cost way to decorate your home for the colder months! 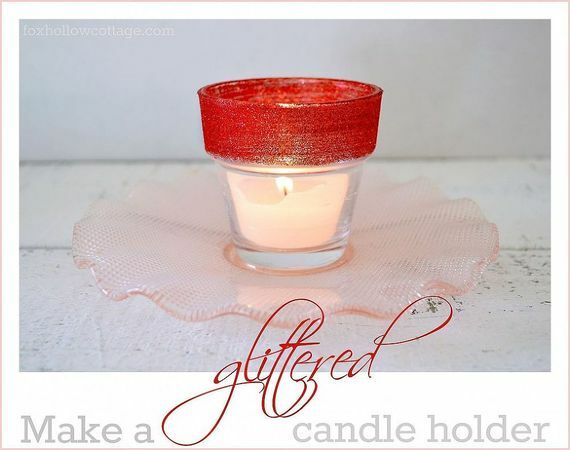 With the help of the dollar store, you can really WOW your special someone with a room full of the romantic glow of these delicate luminaries! Trying to Wake Up Your Hibernating Garden? 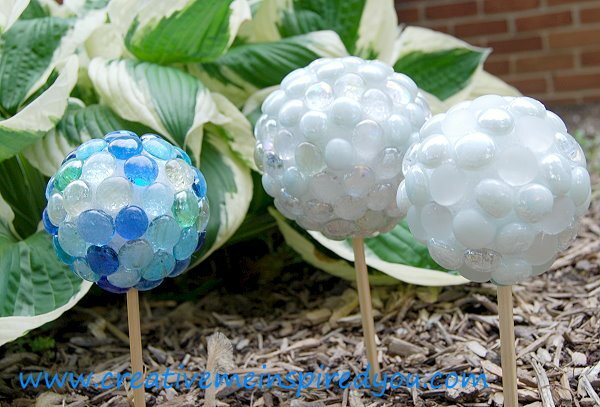 Add some gazing globes to your garden, using dollar store materials, to compliment your flowers and create a little contrast! 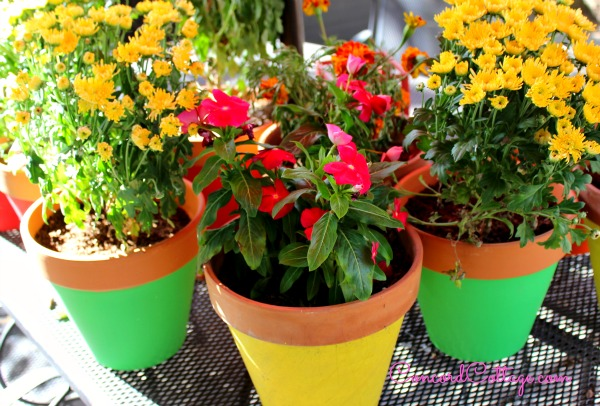 Turn cheap terra cotta pots into bright garden art, by giving them an easy makeover with some bright colored paint! 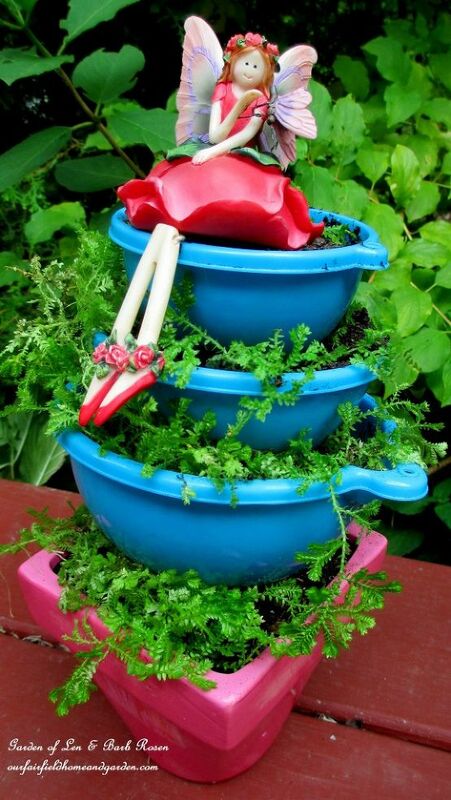 Or, instead of giving your planters a new coat, give cheap colorful bowls a new job! Use a set of stacked plastic bowls as a fun set of planters! 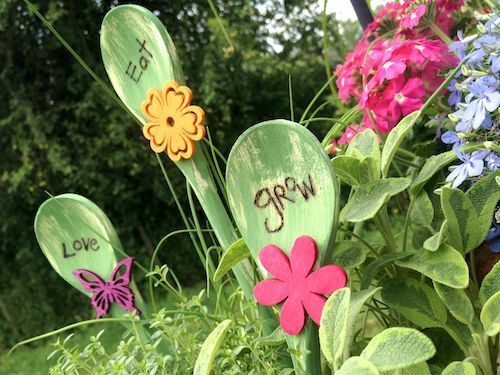 Pick up some generic kitchen tools from your local dollar store, and arrange them in your flower beds to create cute (and helpful) garden features! Want to Surprise Your Kids Without Breaking the Bank? 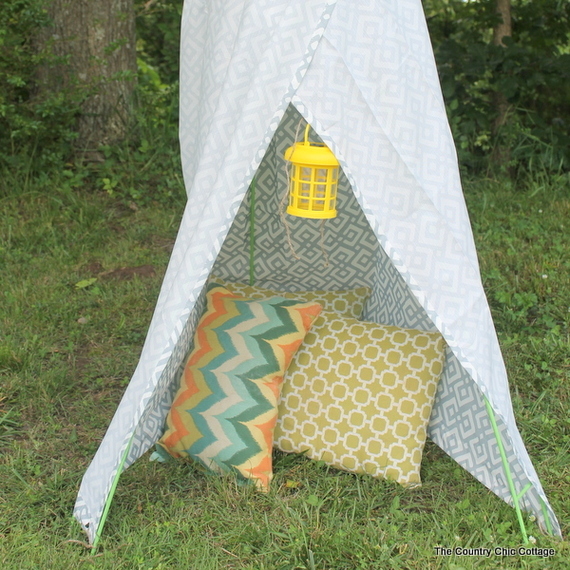 Create awesome outdoor play toys for your children, using extra supplies from the dollar store! 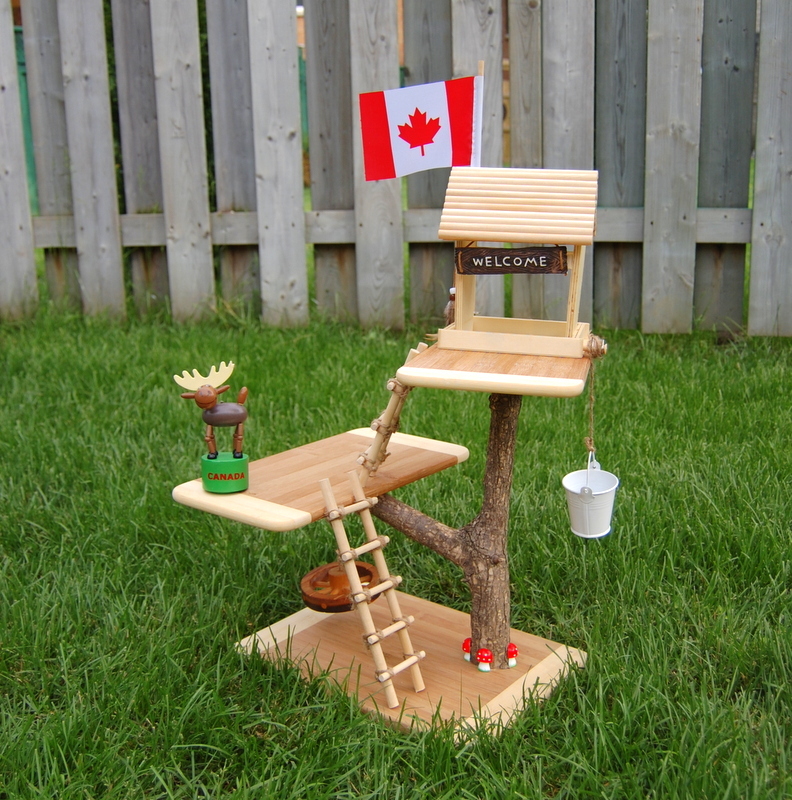 Goodbye, over-priced toy stores -- hello DIY! You read that right -- you can make a teepee using only supplies you found at the dollar store! Follow this clever tutorial to create your own and win the Coolest Parent award! 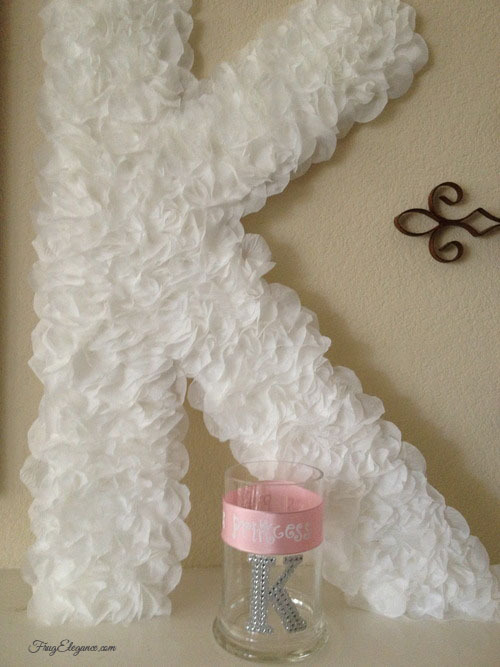 Add easy and beautiful decor to your child's bedroom, with a huge hanging initial for their wall, made from faux rose petals! 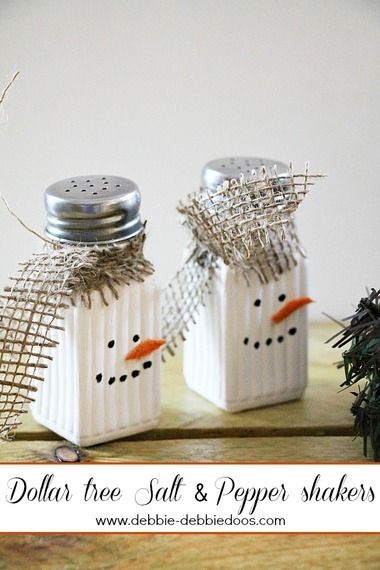 Looking for a Way to Liven Up Your Kitchen? And the winner of the easiest, best budget pantry organization hack goes to this dollar store pantry can organizer, for being oh so clever and oh so low-cost! 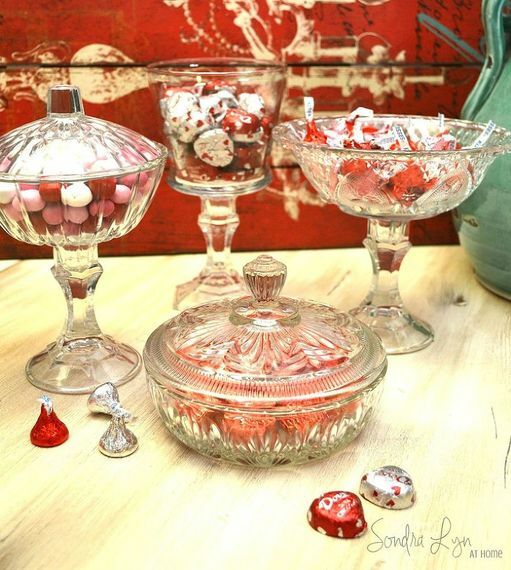 You know how the prettiest kitchenware is also the most expensive? 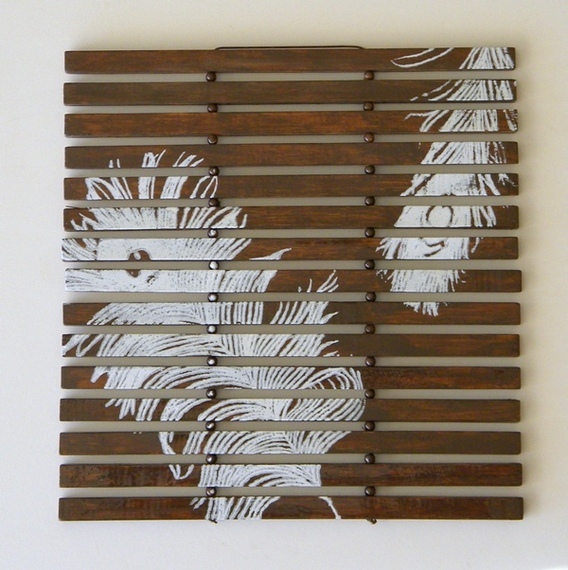 Well, the plainest kitchenware is the cheapest, and also, conveniently, the easiest to make your own, like this prettily painted wooden trivet! Grab a couple glass bowls and candlesticks from your local dollar store and mix and match them to create these fancy elevated platters! Get all the artistic appeal of glass blown drinkware, with supplies from the dollar store, including some colorful nail polish! See how, here! 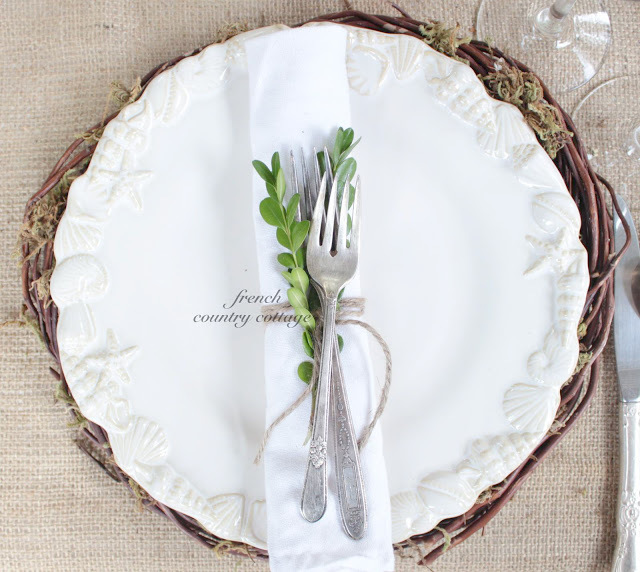 Anyone can create a classy dining experience by adding all the right elegant touches to the table, but only a dollar store guru can do it on a budget, using tricks like this wreath turned charger! Get even more wild Dollar Store DIY's on Hometalk's #DollarStore page!